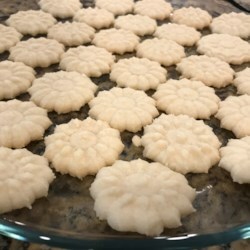 These cookies melt in your mouth and taste as good or better than any other shortbread recipe I have used, but only used 4 ingredients. They were so easy and cheap to make, I am definately saving the recipe. Although they taste good plain, I added coconut to a second batch and was very pleased with the result!